Yay I'm back in my hometown for Christmas! Waking up in my own bed, to a warm house stocked with food that I haven't bought is amazing. When I go back to Uni I will probably be about 10 stones heavier but when you have been living on 'pasta a la tomato soup sauce' creations for the past month because you cannot afford to feed yourself, eating in moderation becomes quite difficult. Anyway this weekend was my first Saturday night out in the 'Shire and I thought it would be the best time to do my first EVER outfit post. 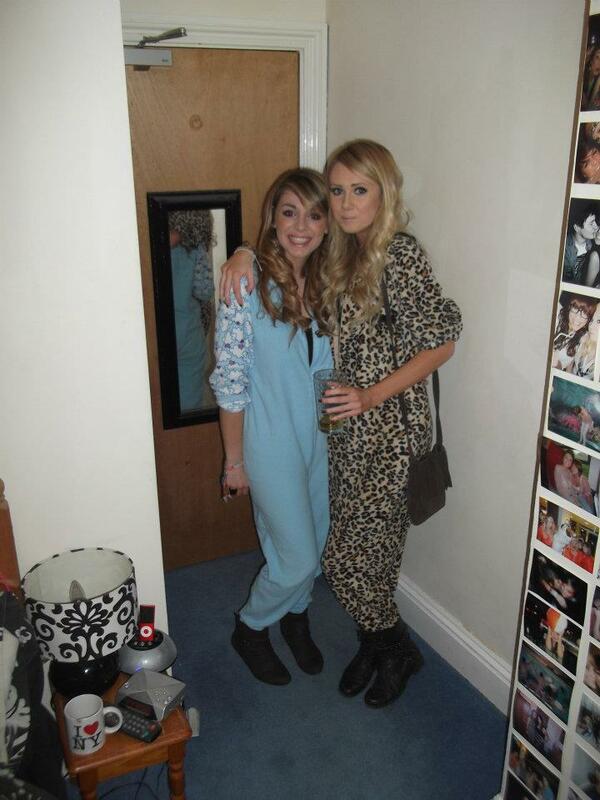 Now I apologise for erm the lack of photo's... I understand outfit posts usually consist of many of these but the lame uploader has decided to turn every picture upside down, so I had to settle with this crummy iphone pic. It was absolutely freezing out but I wasn't really feeling leggings, so cheekily borrowed a MinkPink shirt from the lil sis in an effort to keep warm. 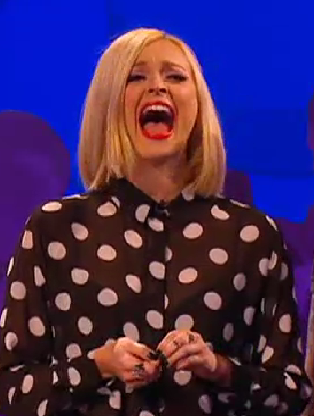 I actually saw this shirt on Fearne Cotton the other day on Celebrity Juice. I absolutely love Polka Dots, my bedroom is fullllll of the print. My Topshop skirt has been worn to death, the zipper is a teeny bit broken (nothing a few safety pins can't fix) but it's a trooper. It goes with absolutely everything and I usually team the tan belt with it. I love polka dots, you look so super pretty!